Ladies night out. A creative outlet. A kiddo’s birthday party. Some much-needed art therapy. A date night that breaks you out of that dinner-and-a-movie rut. The Paint Mixer is good for all these things and more. 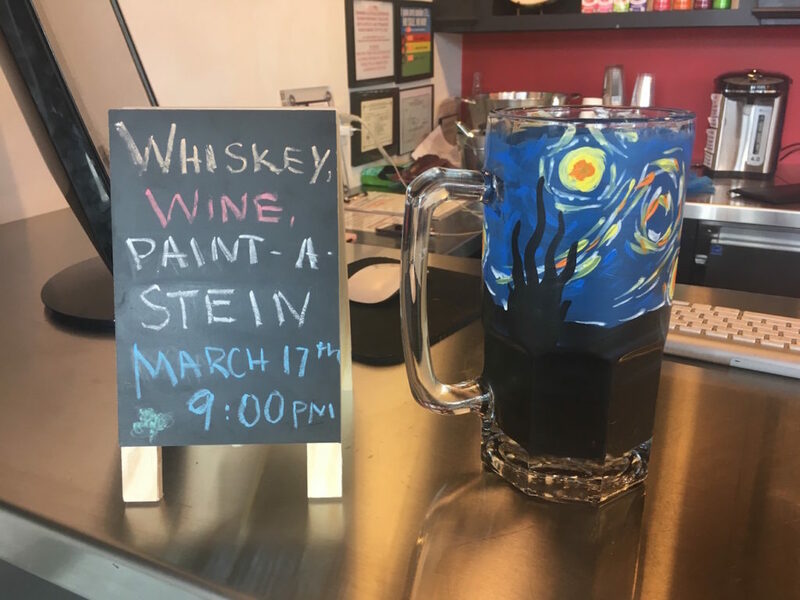 The concept is simple: paint, unwind, and—for the adults—have a drink or two. In addition to signing up for one of the classes on the schedule, you can also host a private party, plan a team-building activity for your workplace, or take advantage of the Van-Go Mobile Studio, which can set up a studio at any venue for your next event. Another reason I love this local business is because of its owner, Jill Johnson. This month, it’s also all about the girls here at Choose Park City. In honor of National Women’s History Month and International Women’s Day (March 8), I’ve assembled a list of women who inspire me and profiled a talented Sotheby’s photographer. I also wanted to profile a local female-led business. As a graduate of the Art Institute of Chicago, former U.S. Freestyle Ski Team member, and a mom, Jill is a local I truly admire. 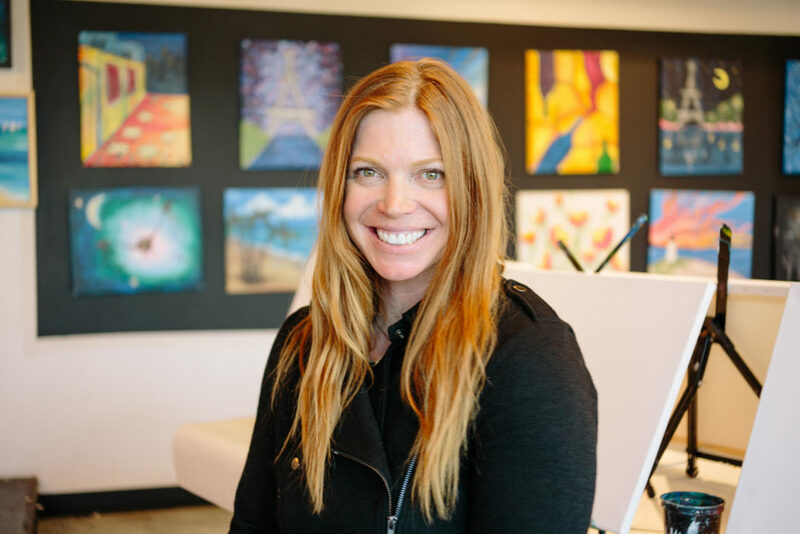 I sat down with her to learn more about how The Paint Mixer got its start and where it’s headed. Choose Park City: How and when did you first decide to open the Paint Mixer? Jill Johnson: The Paint Mixer actually found me. I bought the business in October 2016. My husband, Matt, was looking into buying a local business and leaving his suit and tie behind. However, the Broker found a business that they thought would work well with my background and interests. We decided to go for it and here we are, a little over a year later. It is still evolving. I have learned a lot over the past year. Owning a new business is a crash course on so many levels. The first form of evolution was shifting our to local products. I am a lifelong Park City girl and believe deeply in our vibrant community. 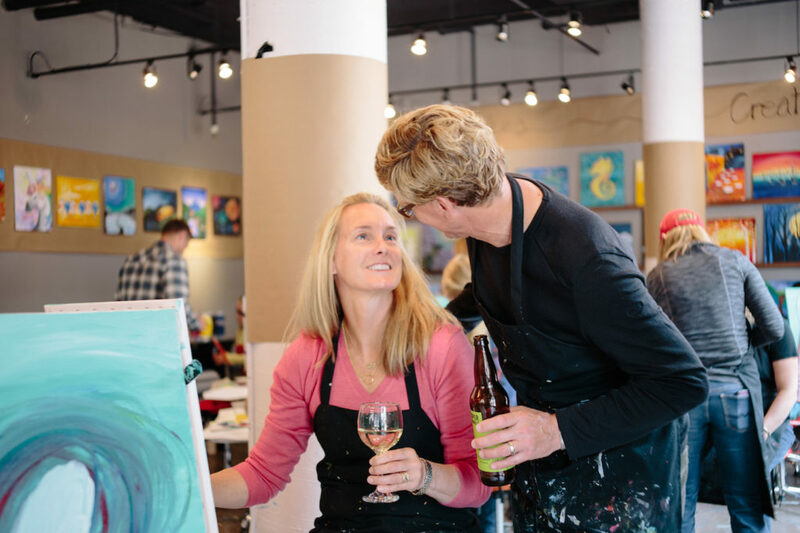 I always want to share with our guests the amazing elements of Utah, from our natural surroundings to the local artisans crafting local beers, ciders, and wine. We have also partnered with local companies. 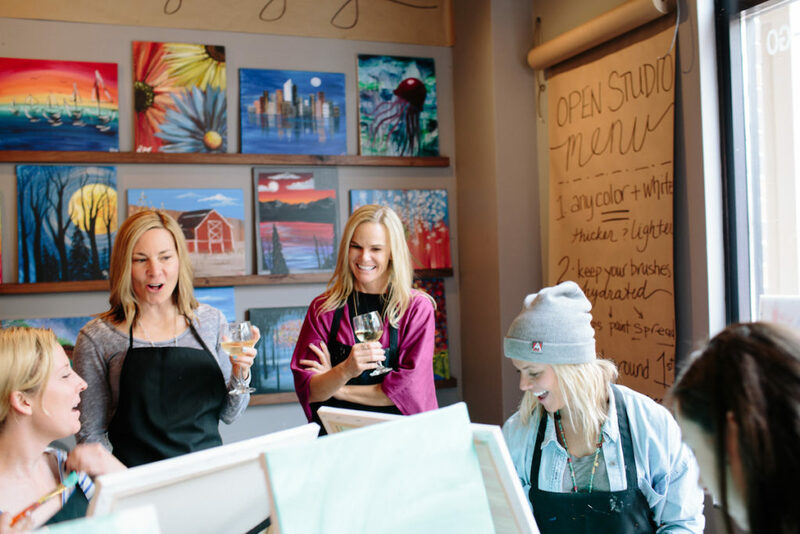 In Park City, we offer creative experiences at Whole Foods, Townshend’s Tea, the National Ability Center (NAC), Park City Youth Council, Blue Sky Ranch, and St. Regis. In Salt Lake City, we offer experiences at Tinwell, Undercurrent, Primary Children’s Hospital, University of Utah Continuing Education, and Utah Natural History Museum. I like to think of our team as creative concierges. 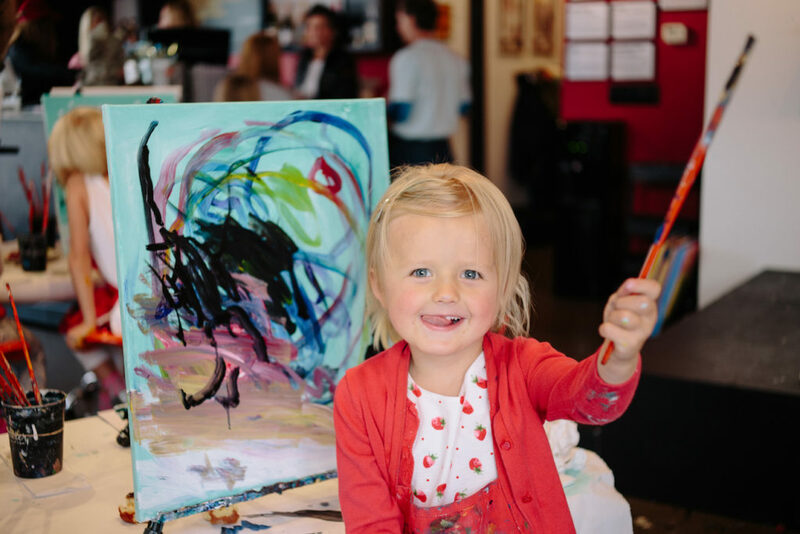 Do you incorporate your educational background as an art therapist into your vision for Paint Mixer? Absolutely! My background and ongoing work as an art therapist always influences my vision for The Paint Mixer. Creating a safe, inspiring, and welcoming space is the first step in art therapy and this is also essentially The Paint Mixer. We want our guests to come in and feel safe to try something new, make mistakes, laugh, and possibly discover something they never thought they could do. As an art therapist, I love disrupting narratives, meaning we all have our stories. When we continue to use our words to describe our experiences, we often get locked into a script we create and re-create. With art, the opportunity arises to see new perspectives, new ways of thinking, feeling and connecting. Currently, my art therapy practice focuses on trauma, PTSD, and survivors of sexual assault. I work with The National Ability Center and Art Access, offering art therapy experiences to their clients. My ongoing intention is to give more access and opportunities for individuals and communities to explore and discover creative expression. As a Park City native, did you ever imagine becoming a local business owner here? I think I always thought about owning a local business. I grew up watching and working in my father’s business, Jack Johnson Company. Entrepreneurship has been in my family and in Matt’s. I almost bought a retail business three years ago that I loved, but the timing wasn’t right. So, I knew that it may happen, but never expected The Paint Mixer. There is so much that I love about living in Park City. The community, my family, my sisterhood of friends, the mountains, SKIING, and the fact that nature is all around us. I love that my children are growing up in a place where they are outside more than inside. We all live in a community that continues to surprise and inspire and invites me to try new things, evolve, and connect with people from all over the world. You often support local nonprofits. Which organization are you supporting right now? I continue to support National Ability Center, Art Access, and Park City Youth Council. With NAC, I work with the Wounded Warrior Project and Project Odyssey. I love working with the groups they host and am continually inspired and humbled by the bravery, resilience, and compassion that our active duty warriors and veterans bring to the table. I am very dedicated to survivors of sexual assault. Three years ago, Elise Butterfield from Art Access asked me to pilot an art therapy experience for survivors and it has been an incredible experience to hold space and witness the strength and vulnerability of men and women working with their own personal traumas. Part of the Paint Mixer experience is what’s in your glass. Which local beverage companies do you partner with? Currently, we feature Old Town Cellars wine, Proper and Roha beers, and Mountain West Cider. We offer seasonal drinks featuring High West whiskey or Beehive Gin. We love learning about local brews and spirits. It is truly amazing what has happened in Utah craft beer, wine, and spirits. We’re excited that you’re now hosting classes at Whole Foods! Tell us more about this partnership and if there’s anything else on the horizon. We will continue our Whole Foods first Thursdays! I will be at Townshend’s Tea hosting “create and caffeinate” on alternate Wednesdays, which is an open experience for anyone to join, bring a journal, and create. We are excited about our private figure drawing classes, where we teach the beginning elements of drawing with charcoal. The horizon is full! We are excited to share throughout the year! If you subscribe to my newsletter, then you can take advantage of a special promo that I partnered with The Paint Mixer to offer this March. Not a subscriber? Contact me and I’ll be happy to send you the promo code.